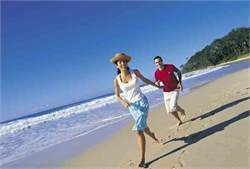 Head out of Nowra to the marine wonderland that is Jervis Bay, continue south past Pigeon House Mountain, great beaches and into the busy holiday town of Batemans Bay, home of great seafood. Jervis Bay is well-known for its national parks and the pod of dolphins that live in the bay year-round. It is popular with scuba divers and snorkellers, who explore the underwater caves. If you are in the areas between June and November, look out for migrating whales off the coast. Huskisson is the gateway town for exploring Jervis Bay and nearby Hyams Beach, which is reputed to have the whitest sand in the world.Visit nearby Booderee National Park, a place full of culture and wildlife. Booderee has stunning white sandy beaches, three campgrounds with energy efficent amenities, many bushwalk options, an old lighthouse with shipwreck heritage and a Botanic Gardens full of bush foods and medecines. 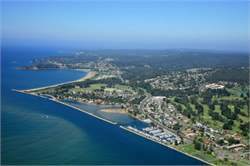 Further along the route, Mollymook is a popular seaside holiday spot for its golf courses and family beachesUlladulla is a larger centre and a well-known deep sea fishing area. Discover the local history on the ‘One Track For All' walk along the northern headland. Stop at Morton National Park and climb the steep Pigeon House Mountain for 360-degree views of the Pacific Ocean, the Budawang Mountains and the Clyde River. On hot days take a cooling dip at Pebbly Beach amidst the resident kangaroos.The rugged coastline at Murramarang National Park offers accommodation on the beachfront. Detour 10 minutes off the highway and discover the lake and beaches at beautiful South Durras. 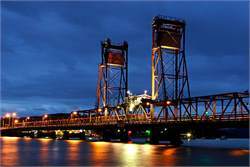 Located at the mouth of the Clyde River, Batemans Bay is a bustling holiday township, known for its seafood, particularly oysters, which have a reputation for being some of Australia's best. Take a lunchtime river cruise or hire a boat and explore the scenic waterway.